Execution is the name of the game for Desk. 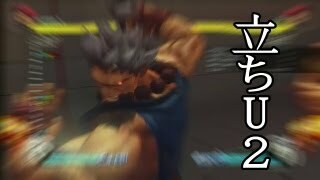 The popular uploader is shining once again by discovering a new way to perform Akuma's Ultra 2. Using an arcade stick and a standard Xbox 360 pad, Desk showcases a new way to pull off Akuma's Ultra 2 in Super Street Fighter IV: Arcade Edition 2012. The method is quick but isn't considered easy to execute.